New Hampshire Can’t Go To The FCS Playoffs, But Can They Prevent JMU From Going, Too? It was supposed to be a coronation, an easy glide for James Madison through the rest of the CAA towards another conference title and possibly the No. 1 overall seed, if everything fell exactly right. But after New Hampshire’s stunning 35-24 defeat of the Dukes in Durham, suddenly everything we all thought we knew about the CAA turned out not to be true. Now the 6-3 Dukes are not only unlikely to win the CAA title outright, all of a sudden James Madison faces off against two tough teams in 5-4 Rhode Island and 6-2 Towson. Could James Madison go from a ranking in the initial FCS Playoff Committee’s rankings to crashing out of the playoff picture in a three-week span? The winner of the Patriot League was Colgate this week, even if their 41-0 win over Fordham wasn’t exactly the stuff of drama. What was impressive however was the Raider defense, who hasn’t given up a touchdown since Week 1 of the season and who has only given up a grand total of 6 points in the last seven games, a stretch that has included 5 shutouts. All McNeese State needed to do in order to wrap up the Southland auto-bid was to keep winning. But Southeastern Louisiana had something to say about that. The Lions’ dominant 23-6 win over the Cowboys have thrown the Southland Conference title race into a horrific mess. Two teams, McNeese State (6-3, 5-2) and Nicholls State (6-3, 5-2) can possibly get to eight wins and presumably win the Southland’s autobid, and Incarnate Word (5-4, 5-2) could also slide in as conference champions if they win their remaining game against Central Arkansas (5-4, 4-3) and both McNeese and Nicholls lose at least one of their last two games, which as we’ve seen is very much in play. There are literally four teams right below these three, Central Arkansas, Sam Houston State (5-4, 4-3), Abeline Christian (5-4, 4-3), and Lamar (5-4, 4-3) that either have a claim of the Southland Conference title or, if they win out and get to 7-4, a chance at meriting consideration as an at-large bid to the FCS Playoffs. About all that’s certain is that many of these teams will be singing the blues once the regular season concludes, wondering what might have been. Which team, or teams, won’t be? 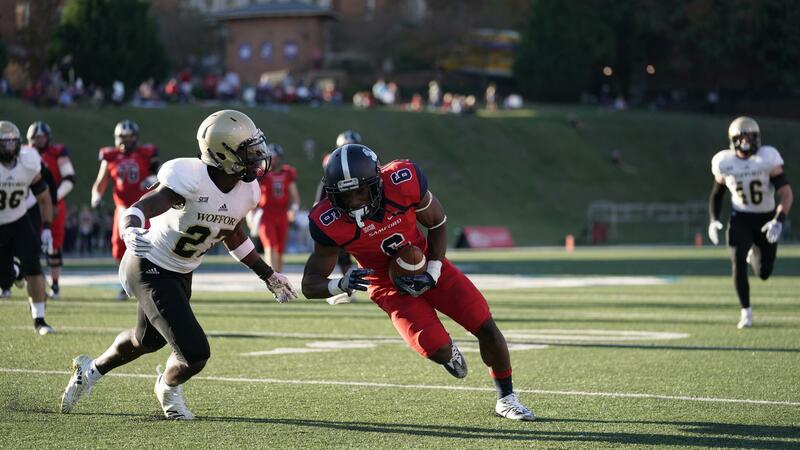 After suffering a four-game losing streak early in the season, many wrote off the 2018 Samford Bulldogs as any sort of factor for the FCS postseason. 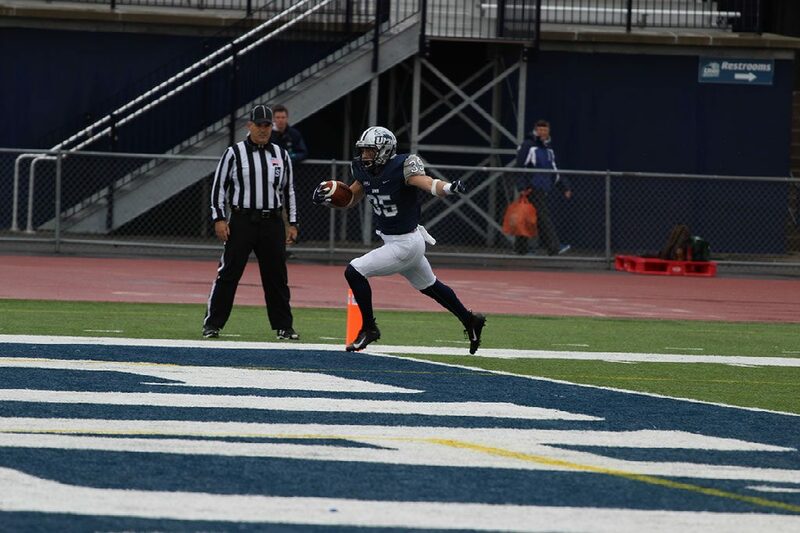 But the Bulldogs didn’t give up, and instead have embarked on a four-game winning streak to put them in the driver’s seat of the SoCon title race. Samford’s 35-20 win over Wofford means, if they win against The Citadel next week and East Tennessee State to close the regular season, they will be SoCon champs. Meanwhile, questions abound as to which other SoCon teams have the required resumes to make it into the FCS playoffs. Wofford (6-3, 5-2), look solid for an at-large bid, but they’ll have to win both remaining games to be certain. Chattanooga (6-3, 4-3) has to win against Mercer, FBS South Carolina, or both in order to feel comfortable about their chances. East Tennessee State (8-2, 6-1) is in if they win, but might still make it as an at-large even with a loss against Samford. And Furman (4-4, 4-2) needs to keep winning and hoping that an overall 6-4 record is enough to merit consideration. It could very be that their hurricane-related decision to cancel and not reschedule their game against Colgate might be why they are sitting at home on Thanksgiving. We know North Dakota State (9-0, 6-0) is in the playoffs, and barring an outbreak of “I forgot how to play football-itis” on the Fargo campus, it seems likely the Bison will be the No. 1 overall seed. It’s the at-large bids at stake which are the main question for the teams of the Missouri Valley. Though it seems likely South Dakota State (6-2) will be in with one more win, there are four teams at 5-4 overall that need to win their last two games to feel good about their shot at making the playoffs: Northern Iowa, Illinois State, Western Illinois, and Indiana State. The most interesting team in this mix could be Indiana State. Fresh off their third straight victory, a triple-overtime win over South Dakota, suddenly the Sycamores are firmly in control of their postseason destiny. 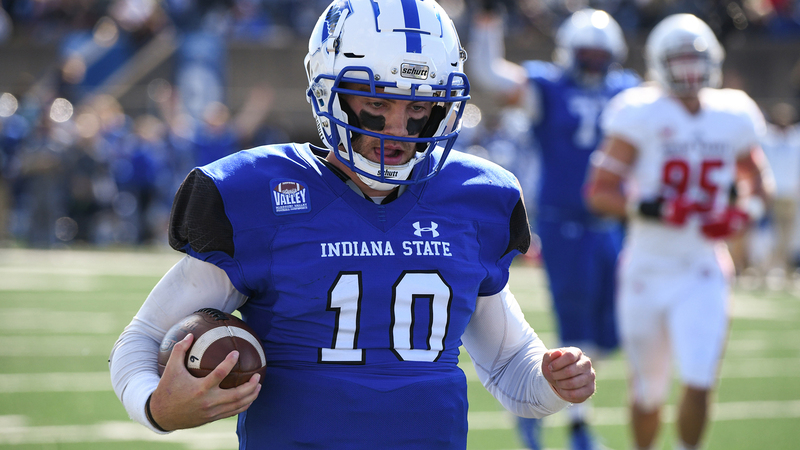 If they can beat Illinois State this weekend and Western Illinois the following weekend, Indiana State at 7-4 would have a denial-proof resume for the FCS Playoffs, while simultaneously eliminating two of their conference rivals for the same slots. Can Indiana State do it?